I love Summer time! The sun is out, the birds are singing, so many brands are bring out new and exciting ranges and products and everyone is always in a good mood. The only problem I have about Summer time is finding great products for keeping my lips soft and smooth. I get such dry skin and lips in the autumn and winter times that once Spring and Summer comes around I need to find great lip products to re-vamp my dry horrible self - and that can be such hard work! But this year has been different, I am in love with these two products that I bought them twice more and matched the shades up so well! 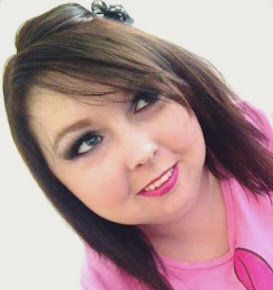 I own three colours of Maybelline New York 'Super Stay 24hour colour' lip products which are: "175 extreme fusia" which is a beautiful dark pink/red shimmer effect, "150 delicious pink rose goumand" which is a beautiful dark peach pink effect and "800 neon pink glamour" which is a beautiful pink neon effect. Definitely something you should buy for your make up bag this spring and summer! 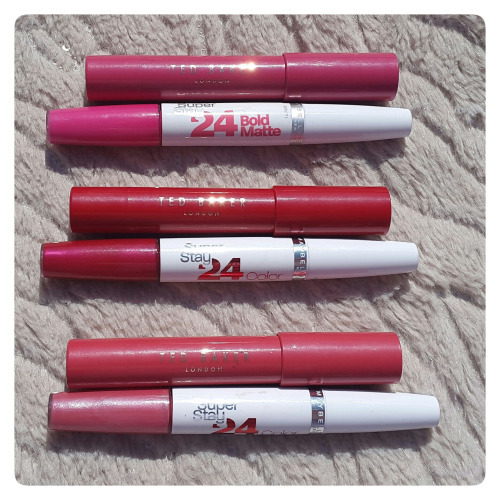 Maybelline New York 'Super Stay 24hour colour' lip products are a formula with mirco-flex looks, feels fabulous, glides on, stays on and looks beautiful on all day. There is no crumbling, no caking, no fading, no feathering, no drying, no smudging, and no transferring. 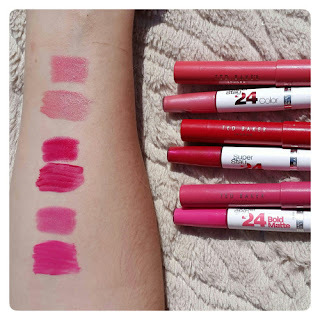 Maybelline New York 'Super Stay 24hour colour' lip products comes in a two-step lip colour in one pack: step one is a flex colour wand and step two glossy conditioning balm, and in my opinion for best results: apply the liquid lip colour to your clean, bare lips and allow a full two minutes to dry, then apply ultra-conditioning balm to seal in softness. You can reapply balm as needed and remove with an oil-based make up remover. I’ve been priming my lips, putting some lip balm on and then putting on my picked shade of my Ted Baker ‘Lips Made For Kissing’ lip pens and lastly applying myMaybelline New York 'Super Stay 24hour color' lip stick. My lips have felt so great and I have been so much in love with them. Let me know what you think of these products? If you want to buy Maybelline New York 'Super Stay 24hour color' lip products for yourself to try them out you can do so by clicking here or by visiting your nearest Superdrug or Boots stores. I hope you all are loving the summer holidays and have a great day!